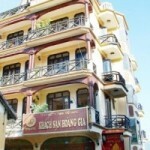 This webpage is about Hmong Sapa Hotel in Sapa Town, Lao Cai, Vietnam. This information is collected and carefully edited by the team of Sapa Travel and if you wish to book the rooms or services, contact our sales team. Welcome to the HMONG SAPA HOTEL! Why is the hotel called this? The owners (Van and Steve) are a couple of ex professional sports people who had spent many holidays in Sapa with their daughter Quinn who has made many friends with Hmong children. To the extent that she visited their homes, stayed overnight and even learned to speak a little Hmong. This gave them the idea of naming the hotel this way and in addition to that, they are committed to helping the Hmong community by employing as many staff as they can from the Hmong. Giving essential employment and training. Many of the staff will come from the Hoa Sua School which is situated only 100 meters from the hotel. Also the hotel will arrange functions which allow for mixing with the Hmong in a real environment to give the guest a true cultural experience. The Hmong Hotel is a new construction but built in a style that fits the landscape, with 30 rooms, complete with TV and in room free Wi-Fi (essential for the modern traveler). The TV is cable and includes BBC and CNN for your news and kids channels when you want some moments of peace or time for yourselves. Some local channels as well if you want to watch what the Vietnamese watch. Some great shows! Van is Vietnamese and Steve is English so they have an understanding of what all guests both Vietnamese and foreign expect and want. Believe that it can be very different. The staff are also trained to help guests and give honest and genuine advice. Many travelers fear being “ripped off” by being overcharged in Asia. 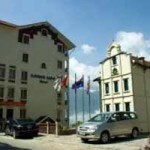 The hotel will help guests to have a safe and honest and most of all enjoyable holiday. Having been travelers themselves and made many journeys to Sapa, Van and Steve know the reality of what travelers want. After a long train journey and arriving in the early morning, what does the traveler want? A hot shower, a good breakfast (either Asian or Western) and a clean comfortable bed. After that the traveler is ready to hit the road and explore Sapa and all its beautiful attractions. If there is anything else you need, just let us know and we will do our best to get it. 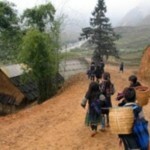 The Sapa Hmong hotel wants to make you happy. It wants you to come again and spread the word of a great stay. So if you have a problem, tell us! Hotel’s staff will do everything they can to solve problems .Better to sort it out while you are there. Hotel’s staff are trained to understand both western and Vietnamese cultural problems. Plus most things can be solved with a smile and a laugh. Remember when you are haggling over a purchase for 5000 Vietnamese Dong its only about 20cents or 15 pence and that amount can mean a lot to the person you are haggling with, far more than to you. Enjoy the bargaining. Chef and staff are all trained at the Hoa Sua Cooking School as part of our policy to give back to the local community. Many of them will go on to major hotels worldwide. Maybe you will meet them again when you are rich and famous. All fruit and vegetable are from an organic farm. The H’mong hotel always buy fresh food every day, cook it when you order it and so it takes a little longer. Fresh cooked is always worth the wait. We use only stainless steel pots and pans and we don’t use MSG. Hotel’s aim has always been to provide good fresh food and drinks at reasonable prices in a welcoming atmosphere. Tips: You can travel to Halong Bay right after Sapa.